The journal Variability and Evolution was founded by Jerzy Szweykowski, Krzysztof Łastowski and Janusz Piontek, Professors of Adam Mickiewicz University in Poznań in 1991. Jerzy Szweykowski edited first four volumes and Janusz Piontek has been the editor from the 5th volume (1996). Starting from the 6th volume (1997) Variability and Evolution has been published by the Institute of Anthropology of Adam Mickiewicz University and also has possessed the Board of International Collaborators. Anthropological Review, appearing annually, publishes (since 1997) in English, and is a scientific journal devoted to issues in physical anthropology and related fields of science. The journal has had a long tradition of publication since its founding, in 1926. The occasion for writing this piece was the editorial labour in preparing an online version of BICA The Bulletin of Information on Computing in Anthropology which is now available on the Internet.1 The original BICA was a pioneering serial,2 edited by John Davis, which appeared intermittently from 1984 to 1988. Its early editions are of continuing interest for a variety of reasons, as attested by the citation of its articles in mainstream journals. The Giza Archive Project has made all articles relating to Egypt and Nubia accessible. This page provides numismatic and database terminology to internationalize numismatic databases. still in progress for Greek, Persian and Arabic. This presentation is based on the letters that James Henry Breasted wrote home to his family during the first expedition of the Oriental Institute to the Middle East (August 1919-July 1920). These original letters in the Oriental Institute Archives were transcribed into digital form and are presented - unedited - with supporting illustrations. Volumes 73 (1988) - 133 (2000) are accessible online. The aim of this publication is to encourage discussion within the discipline and to improve the standard of archaeological research by contacts on the interdisciplinary and international levels. 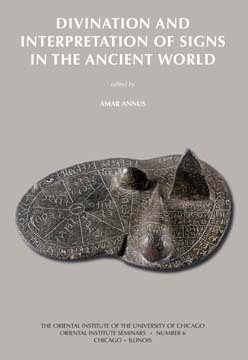 Fennoscandia archaeologica has been published annually since 1984. More than nine hundred addresses are subscribed to the AWOL by email function. AWOL surpassed 90,000 page loads. The List of Open Access Journals in Ancient Studies contains 599 titles and remains the most popular page in AWOL. 20 users are known to be subscribed by way of feed readers and aggregators. 932 email address are subscribed through Feedburner to receive daily notifications of new content. AWOL has had 91,689 page loads from 54,620 unique visitors of whom 14,587 made repeat visits [use of data distributed to email subscribers is presumably not heavily represented in these numbers since all data and links are sent for local use]. I appreciate the interest and support of those of you who use AWOL, and encourage you to comment, make suggestions, and share the content when appropriate (noting the button which now appears on all new and revised pages). Digital Du Cange, et al., Glossarium mediæ et infimæ latinitatis. Niort : L. Favre, 1883-1887. New Technology for Digitization of Ancient Objects and Documents; joint project of the Archaeological Computing Research Group (ACRG) and the School of Electronics and Computer Science (ECS), Southampton and the Centre for the Study of Ancient Documents (CSAD), Oxford, the Cuneiform Digital Library Initiative (CDLI), Los Angeles-Philadelphia-Oxford-Berlin, and the Electronic Text Corpus of Sumerian Literature (ETCSL), Oxford. 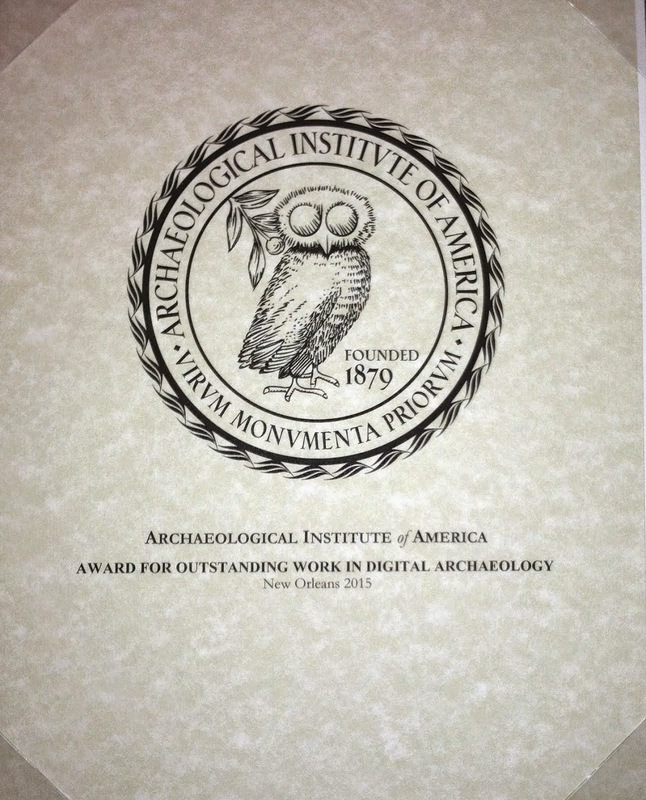 We are pleased to announce the award of a 12-month grant under the Arts and Humanities Research Council’s Digital Equipment and Database Enhancement for Impact (DEDEFI) scheme to develop a “Reflectance Transformation Imaging (RTI) System for Ancient Documentary Artefacts”. The project is a collaboration between Dr. Graeme Earl (ACRG) and Dr. Kirk Martinez (ECS) of the University of Southampton, and Professor Alan Bowman and Dr Charles Crowther (CSAD) and Dr Jacob Dahl (Oriental Studies) from the University of Oxford. In the course of the next year, the team will develop two RTI systems to capture images of documentary texts and archaeological material. The partners in the project share a commitment to opening digital access to cultural heritage; results will be made publicly available through the development and use of open source software to process the outputs of the RTI systems, allowing other researchers to take advantage of the new technology. RTI technology enables the capture of detailed surface properties from high-resolution still or video images. The RTI systems developed by the project will allow researchers to study documentary and other artefacts remotely in great detail without being restricted by fixed lighting angles. The result will be to ensure that high-quality digital versions of these materials can be consulted by scholars worldwide. In the piloting phase of the project, RTI technology will be tested on a selection of documents including Vindolanda stilus tablets, stone inscriptions, Linear B and cuneiform tablets in the Ashmolean Museum, Oxford, and cuneiform tablets in other collections across the UK. It will also include capture of a broad range of archaeological materials, focusing on a number of particularly high-impact artefacts, in order to raise the public profile of open access, and of open source-driven RTI technology. The project includes a broad range of advisors and partners from across the arts, humanities and sciences, drawn from academia, industry, local government and the third sector. In the longer term, the new digital resources that will be created will be fed into and will add value to existing digital corpora such as those managed by the Archaeology Data Service (ADS), CSAD, CDLI and ETCSL, and will contribute towards the broadest possible academic and general public access to cultural heritage collections in the UK and beyond. South America is an active region in the production of archaeological knowledge and in the formulation of alternative approaches to the past, both from a disciplinary and a contextual point of view. Yet, there was no written medium to disseminate the cultural production of the sub-continent related to the discourses on the past based on objects. That is the reason behind the collective work of South American archaeologists for the creation of a new journal, Arqueología Suramericana/Arqueologia Sul-Americana, published by the Department of Anthropology, Universidad del Cauca (Colombia) and the Ph.D. Program on Social Sciences of the School of Humanities of the Universidad Nacional de Catamarca (Argentina), with the support of the World Archaeological Congress. According to WAC purposes, the journal aims to promote and spread the production of archaeology and related disciplines in South America, emphasizing a critical perspective that allows a dialogue with representations about the past that have been traditionally marginalized from academic spaces. The journal hopes to create bridges of understanding, communication, and discussion between the two large South American worlds, Brazil and the Spanish-speaking countries, which have consistently ignored each other for so long. It is sad that the barrier of two similar languages have split the sub-continent in such a way, especially because South American countries share similar problems and possibilities that can be tackled with collective enterprises, such as this one, that strive go beyond the borders erected by the deliberate ignorance of the others. Arqueología Suramericana/Arqueologia Sul-Americana is an international, peer reviewed journal published twice a year (January and July). The journal publishes papers on archaeology or related disciplines discussing issues whose geographical or geopolitical locus is South America . Contributions can be sent to the following account: mailto:mailto:arqueologiasuramericana@yahoo.com. Subscriptions can also be solicited by writing to that account. The following journals have been added to the JSTOR archive. More detailed information about titles and collections, along with delimited lists, can be accessed from JSTOR's Available Collections page. Journal Description: The first journal exclusively dedicated to the reception of Greek and Roman antiquity by other cultures, from the ancient world to the present time, International Journal of Classical Tradition 's primary focus is on the creative use of the ancient Greco-Roman heritage in a broad range of scholarly endeavors. Articles are published in five languages. The journal includes articles, short notes, research reports, review articles, and news of the field. The official journal of the International Society for the Classical Tradition. Journal Description: The journal, MD has contributed enormously to the methodological renewal of classical philology studies, reviving and renewing the most effective and respected techniques of the last two centuries, from traditional philology to contemporary hermeneutics. MD first came out in 1978, at the initiative of a team of young Italian Classical scholars. The most signal among them were the Latinists Gian Biagio Conte and Alessandro Barchiesi, and the anthropologist Maurizio Bettini. The Board soon became International, attracting especially what were then avanguard scholars engaged in bringing poststructuralist literary criticism to the study of Classical texts. Today MD typically includes studies of literary criticism alongside shorter notes and studies of the textual transmission of the Classics. Each issue numbers between 200 and 220 pages, and the total number of pages so far has reached 15,000 pages. The moving wall for the following title has been reduced from 5 years to 3 years at the request of the publisher. The following previously missing issues have been added to the JSTOR archive. Archaeologia Polona is a Polish archaeological journal edited and published in the English language annually by the Institute of Archaeology and Ethnology of the Polish Academy of Sciences, intended for an international audience. Its main purpose is to present a wide range of various approaches to the most important problems of contemporary archaeology. Vols 1 (1958) - 40 (2002) available in full text, subsequent volumes in abstract. Our award-winning, full-color magazine explores topical issues in the archaeology of the southwestern United States and northwestern Mexico. The magazine is published quarterly. Back issues prior to 2004 are available in PDF format for free from the menu on the right. For a one-year subscription and unlimited access to more recent issues, join the Center today! Current members, please note: until further notice, please contact Membership Coordinator Kate Sarther Gann for PDFs of recent back issues of Archaeology Southwest. Arqueófilos , es una unión de estudiantes jóvenes que germina en un contexto de desaire hacia los nuevos talentos y de un vicio de resguardo en las viejas y agotadas teorías. Pretendemos nunca dejar de ser alumnos -en todo lo que implica-; sin embargo, nos enfrentamos al mundo del mercado, la oferta y la demanda con ganas de competir y trabajar lealmente, sin agraviar al otro. La idea de formar un grupo, como plataforma para el desarrollo de proyectos y el debate de inquietudes en torno a los problemas arqueológicos, nace en una nueva y reciente generación de investigadores con un ideal de cambio y una necesidad de abrir nuevos espacios de publicación. Iniciamos este proyecto en el contexto que el mundo nos brinda, un ambiente de perseverancia y esperanza ante los asaltos y atentados permanentes de los grupos de poder, que pretenden imponer sus parciales visiones de la realidad, por encima de una historia y de una herencia que se mantienen a la espera de ser escuchadas. 0086 ARISTOTELES et CORPUS ARISTOTELICUM Phil. 2833 Pseudo-GREGENTIUS Biogr., Hagiogr. et Legal. 3207 Georgius TORNICES Epist. et Rhet. 3358 ANONYMI HISTORIA IMPERATORUM Chronogr. 3366 Andronicus II PALAEOLOGUS Imperator Hist. See more TLG News here.